Martin Stein's thesis describes a novel methodology for natural product discovery. Due to its high degree of reproducibility, robustness and sensitivity, the technique can be utilized to detect even trace amounts of bioactive substances in heterogeneous matrices such as fermentation broths or crude organic extracts. This research is thus relevant for a large number of researchers working in natural product discovery. Applications of this novel NMR-based approach include suitable environmental triggers for the induction of biosynthetic machineries. 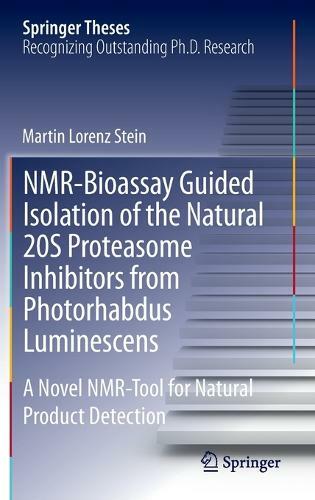 The author demonstrates the extraordinary value of this approach by the successful isolation of two potent inhibitors of the pharmaceutically relevant proteasome core particle from the insect pathogen photorhabdus luminescens. This thesis has led to a number of publications in high-impact journals.